A new macOS Sierra beta is here. Public beta testers can download the third public beta of macOS Sierra starting today, one day after Apple seeded the 4th developer beta. The new macOS Sierra update includes a number of new additions, including the new set of over 100 emoji that promote gender diversity and disarm the pistol emoji by changing it into a squirt gun. Those who want to get a preview of Apple’s latest software can still sign up for the Apple Public Beta Program. Once enrolled, Apple will send an email directing you to download the new update from the Mac App Store. Apple upcoming macOS Sierra update will be available to the public this fall. 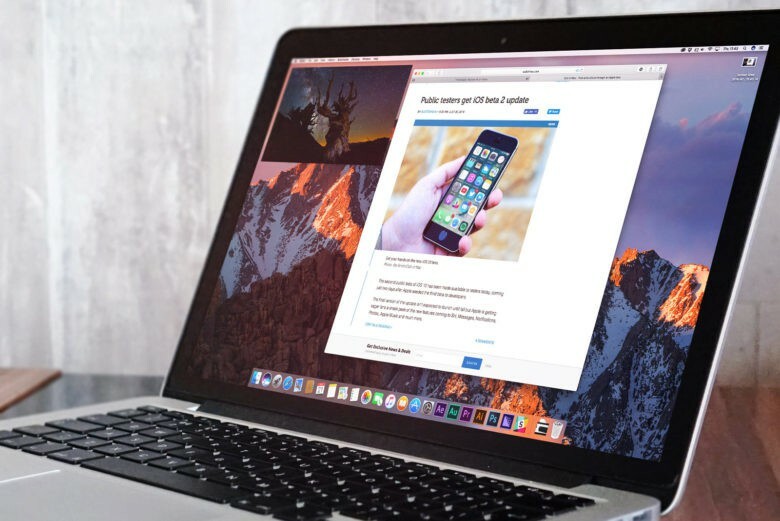 The update brings a slew of new feature updates to Macs and MacBooks, including the addition of Siri for Mac, improved Continuity features, Apple Pay for Mac, Auto Unlock with Apple Watch and much more. Testers should only install the new update on a secondary device as there are still plenty of bug fixes and performance improvements that still need to be worked out before the public launch this fall.